The U.S. also retains other sovereign or associated territories scattered across the Pacific that currently serve some military functions (notably, the missile-testing facility at Kwajalein), or could serve such functions in the future – as of course many of them did during World War II. It is not difficult to envision the U.S. reactivating a network of austere sites for contingency use at places like Midway or Wake Island that could provide the nation greater strategic depth in the Western and Central Pacific than it enjoys today. Next is Guam, which likewise offers the United States a strategically central sovereign basing location. It has great potential as a well-placed and politically reliable location wherein investment supports local Americans. These factors have already made it a recipient of some of forces currently being moved from America’s East Asian allies, a potential fallback as the process continues in the future. For all these reasons, Guam’s capabilities and infrastructure have been built up significantly over the past decade. Improvements continue to this day. To some extent, this is returning Guam to its historical status as a strategic support and communications hub in the Western Pacific. 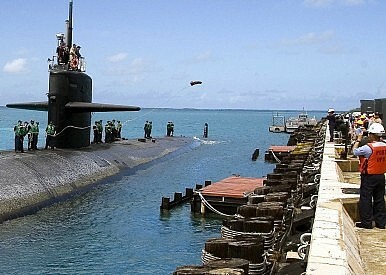 Yet Guam requires significant additional resources to fully realize that potential, it suffers from local challenges, and it is entangled in larger regional dynamics, such as Japan’s political difficulty in hosting U.S. forces in Okinawa and China’s determination to hold the bases of potential opponents at risk with increasingly sophisticated long-range precision weapons, including ballistic and cruise missiles. Meanwhile, foreign powers, particularly China, are already closely following developments on Guam and planning strategic countermeasures in the event of conflict (e.g., vis-à-vis Taiwan). As such, Guam represents an important microcosm and indicator of the wide spectrum of basing investments and efforts necessary if Washington is to retain its Asia-Pacific leadership in the future. Further westward movement takes us from U.S. sovereign Pacific states and territories to East Asia proper. By far the most important element of the United States’ Asia-Pacific basing network here is the extensive and long-standing American military infrastructure in Japan. Having served as a major forward deployment site for American military forces in Asia during the Cold War, the U.S. basing structure in Japan has undergone a dynamic shift in recent years. On the one hand, the U.S. has taken steps to reduce its visible “footprint” in Japan, for instance with the transfer of 7,000 Marines from Okinawa to Guam, in an effort to reduce the tension and occasional resentment generated by the presence of U.S. troops. On the other hand, there has been a significant upgrade in the capabilities of American forces based in Japan. Similarly, concerns over North Korea’s ballistic missile program have led to the deployment of Patriot interceptors to Japan as well as powerful X-band radar systems designed to track long-range missiles. Meanwhile, the ramifications of the People’s Republic of China’s (PRC) military buildup of recent years, especially the growing Chinese arsenal of conventional ballistic missiles, have bearing on the American forward presence in Japan and U.S.-Japanese defense cooperation generally. The changing structure and basing of U.S. military forces in Japan in parallel with the intensification of the U.S.-Japan alliance as well as the continuing emergence of Japan as a “normal” political-military power in Asia portends significant implications for the future of U.S. political preeminence in the Asia-Pacific region. The American base structure in the Republic of Korea (ROK) must be considered in the context of the current status of the U.S.-ROK alliance, formalized at the end of the Korean War. The last decade has seen a major evolution in this alliance, centering on a shift from U.S. dominance to a greater reliance on the South Koreans themselves. Much of the impetus for this came from the U.S. in connection with the Global Posture Review of the Rumsfeld Pentagon. Modest reductions in U.S. combat troops were accompanied by a substantial reduction and consolidation of the American basing infrastructure on the peninsula. Of some 110 separate bases or facilities at the beginning of the decade, 60 had been returned to the ROK government by its end, including some extremely valuable real estate in central Seoul. American forces were relocated to two major ground and air base complexes to the south and east of the capital, while ROK forces assumed responsibility for forward defense at the Korean Demilitarized Zone. This relocation also served to provide these forces greater flexibility for possible use in regional scenarios other than a North Korean invasion. From a U.S. perspective, gaining such flexibility while at the same time reassuring the South Koreans of its continuing strong commitment to ROK security was perhaps the most important outcome of these recent changes. U.S. military access to Australia has recently attracted widespread interest, as noted earlier, in the context of the joint decision to enhance substantially the American military presence in northern Australia. The history of this relationship has three very distinct phases: World War II, the Cold War, and the post–Cold War era. During World War II, Australia welcomed U.S. combat forces beginning in 1942, and the continent served as a secure rear base and staging area for Allied operations in New Guinea and the Central Pacific; at its peak, the United States maintained some 250,000 troops at various bases throughout the continent. During the Cold War, by contrast, in spite of the signing of the ANZUS (Australia–New Zealand–United States) Treaty in 1951, Australia was regarded by the United States as something of a strategic backwater. The U.S. presence there consisted of a handful of facilities (the best known being Pine Gap) dedicated to technical functions such as ballistic-missile early warning, submarine communications, monitoring of Soviet nuclear testing, and communications intelligence. Political complications surround some of these activities, most of them of a high level of secrecy and imperfectly known even to major elements of the Australian government of the day. At present, however, with the rise of China as a regional military (and especially naval) power, Australia has gained increasing strategic salience for the United States both as a regional ally and as a staging point for air and maritime operations in proximity to the vital Strait of Malacca and the increasingly volatile South China Sea. It is possible to envision a growing collaboration between the Australian and American militaries as well as a greater acceptance of such collaboration by the Australian public and a general deepening of an already solid alliance relationship. Should the U.S. Move the Marines to Guam? The U.S. needs to rethink the way it defines the contribution the Marines make to its rebalance.